Joining the Army would be safer than staying in West Philadelphia. Or so Ashley Beasley believes. Her neighborhood has a rich musical past and is home to some of the city’s best parks, but it has also struggled with violence and unemployment. 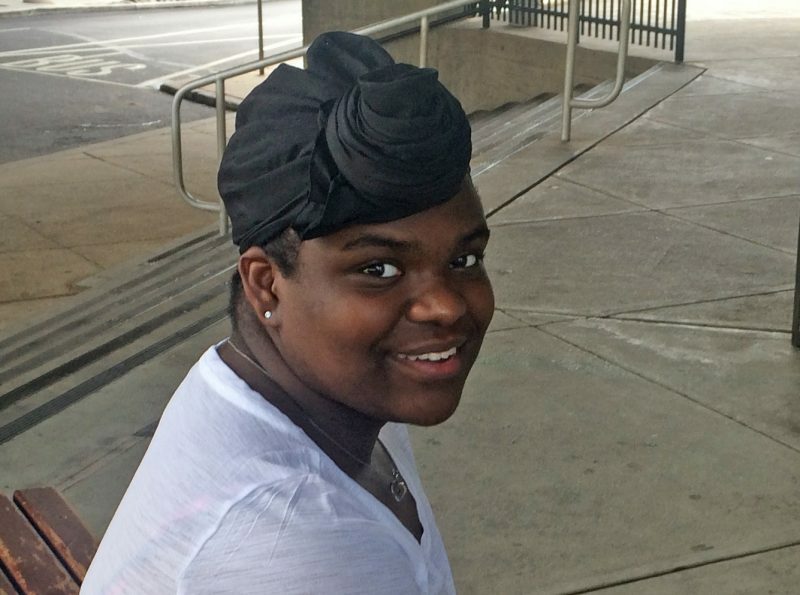 The 16-year-old is an 11th-grader at a Philadelphia charter school. She’s also enrolled in community college classes to boost her chances of getting into a college out of state, or at least out of the city where she was born. Related: Thousands of police officers are now stationed inside public schools. What does this mean for students? Though violent crime has fallen sharply over the past two decades, the risk of getting shot remains exceptionally high — compared to the population at large — in neighborhoods in Philadelphia, Baltimore, Chicago, St. Louis, Milwaukee and parts of dozens of other large American cities. Homicides, mostly committed with a gun, have surged over the last year in many of these places. Teenagers like Beasley say that the last thing they need to worry about is getting shot by someone who is supposedly there to protect them. But this, they say, is also part of their reality. This summer, high profile police shootings of black men became a common occurrence. Last week, a teenager with a BB gun was shot by police in Columbus, Ohio. Soon after, police in Tulsa, Oklahoma shot and killed a man who had his hands over his head. In Charlotte, N.C., a wave of protests has followed the police shooting of another black man outside an apartment complex. The shootings have become fodder for presidential politics, with Republican nominee Donald Trump dubbing himself the “law and order” candidate and Democratic candidate Hillary Clinton embracing victims’ families after walking back her original support for her husband’s controversial 1994 Crime Bill. Young people in places hit hardest by the police-involved violence have their own takes about its roots, what to do about it and how it’s affecting their lives. Cleveland drew national attention in 2014 when police shot and killed 12-year-old Tamir Rice, who had a fake gun tucked into his waistband. The incident, along with other high-profile shootings of black males by police officers, left a mark on Cleveland teens. In the week following the Alton Sterling and Philando Castile shootings in July, a group of students at Cleveland’s MC2 STEM High School debated how safe they felt leaving the house. As a discussion with a reporter about Cleveland schools turned to another issue weighing on students’ minds, one said he refused to live in fear, but others said the risk of getting shot is on their minds every time they go outside. But Brown, and several of his peers, said the worst part wasn’t their own personal fears — it was worrying about what might happen to family members and how concerned their parents were for them. Darrius Smiley, 17, lives in one of the remaining units of the once infamous, now mostly torn down Cabrini-Green housing project on Chicago’s near north side. The 11th-grader says the local officers know him and his friends on sight — their full names, their addresses. Beyond the examples of black men being killed by police that he hears about in his neighborhood or in the media, these frequent stops leave Smiley distrustful of the police as a source of help and protection. While officers seem to be available to stop and search kids on their way home, Smiley says when someone gets shot, the authorities don’t show up until hours later. Across town, Isaiah Montes, a 19-year-old student at the University of Illinois at Chicago, has become a regular protester against police brutality, joining rallies in the name of Philando Castile, Alton Sterling and others. Montes grew up on the south side, a part of the city known for its concentrated poverty and frequent shootings. His distrust of police began in elementary school, when he witnessed a police officer pull his mother out of their car by her hair because the officer was looking for a robbery suspect. Montes can point to examples of good police officers he has come into contact with since then, so he doesn’t want to make generalizations about the field, but he says even the good ones should be held accountable for the violence that has inspired him to protest. “I completely respect those that go into the job with the intention to protect and serve,” Montes said. But he adds that good officers who refuse to break a “code of silence” around the questionable or downright illegal actions of colleagues are complicit in the violence. Police brutality in Baltimore garnered national attention after the popular television series “The Wire” aired on HBO more than a decade ago, but longtime residents say they haven’t seen much change since then. Last year, the death of Freddie Gray at the hands of the police reignited long-simmering tensions as protests rocked the city. 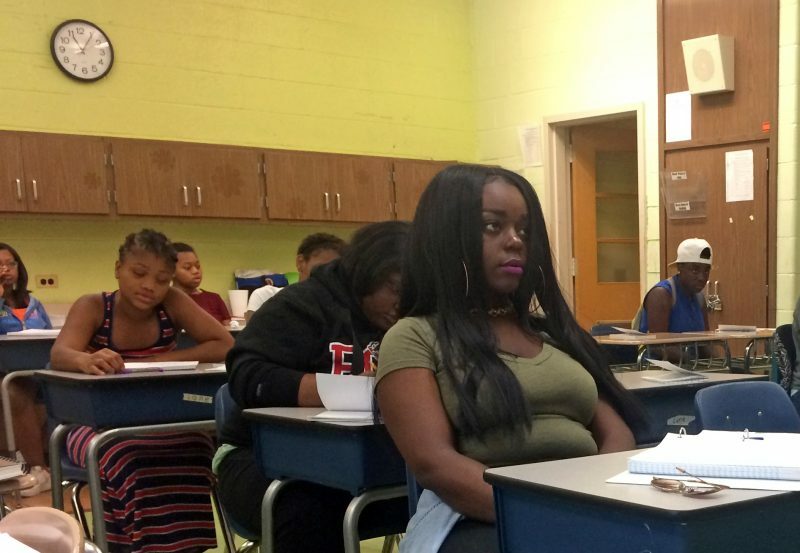 After the July shootings of Sterling and Castile, middle school teachers in Baltimore’s summer school program held an assembly and asked students to write down their reactions. “The officer who shot him probably won’t get punished because they never do,” wrote Tiera Shivers. A sense of helplessness ran throughout many of the essays. This story was produced by The Hechinger Report, a nonprofit, independent news organization focused on inequality and innovation in education. Sarah Butrymowicz received a bachelor's degree from Tufts University and an M.S. from the Columbia University Graduate School of Journalism.